Travelling with children in Zanzibar? It’s a good idea. Zanzibar is a very child friendly and welcoming place for families. There are 2 big playgrounds around Stone town area – one in Forodhani and one at Jamhuri Gardens. These have a small entrance fee of 1000 Tanzanian shillings, which is around 50 euro cents. Playgrounds have good equipments and lots to do as well as relaxing seating for the parents. Also great place for the kids to make local friends! 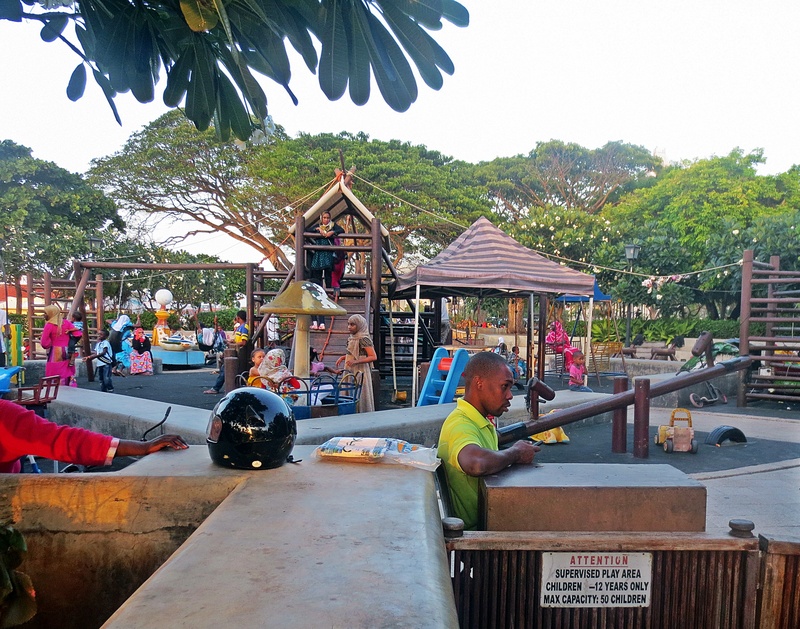 There is a big, recently renovated amusement park in Zanzibar city, called Kariakoo. It has perhaps a dozen different kinds of rides. The park is run by the local fire department, so should be very safe. There are also food and toy stalls. Attached to the amusement park is a big water park with long water slides and pools. A bit further from town there is the Zanzibar zoo which also includes a water park. Like the Kariakoo, this is also a very popular destination for local families. Zoo includes Tanzanian animals and camels. Jozani national park with Red Colobus monkeys, Prison Island with giant tortoise, Nungwi aquariums with turtles and fish, and many other nature destinations in Zanzibar are also very suitable for families and offer a great way to teach the little ones about nature. Contact us to learn more about different child friendly hotels at Zanzibar. Many places have play corners, feeding chairs, baby sitting services etc. Let’s find a place that suites your family’s needs!